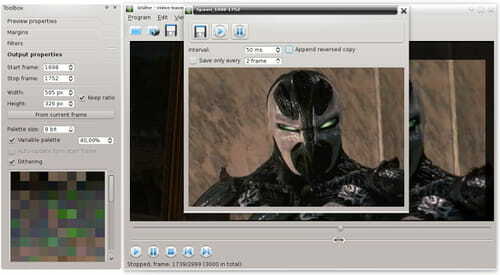 QGifer is an open source software that helps you to create animated GIFs from existing video files. You can also edit the colors and insert text, such as subtitles. The software automatically loops your content. It is available in English, Swedish, Japanese, Polish, Russian, Czech, Chinese, German, and French. Latest update on June 3, 2018 at 06:48 PM.